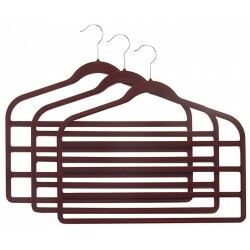 Utilize the vertical space of your closet with our Set of 3 Burgundy Multi Pant Hangers. 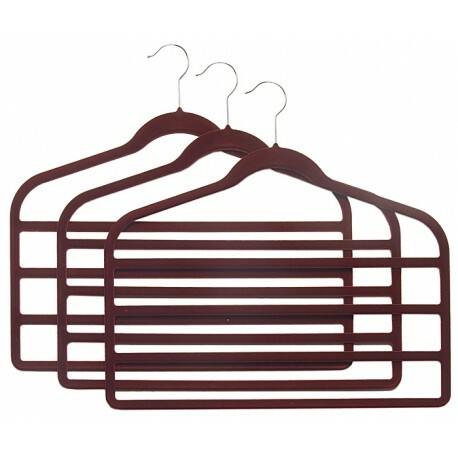 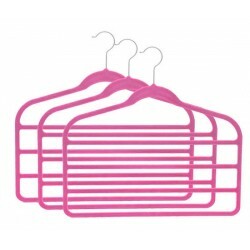 Hang pants neatly from these 4-tier hangers, specifically designed for pants and slacks. 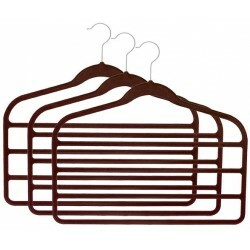 The sturdy construction will hold the weight of multiple pairs of pants while helping preserve their shape. 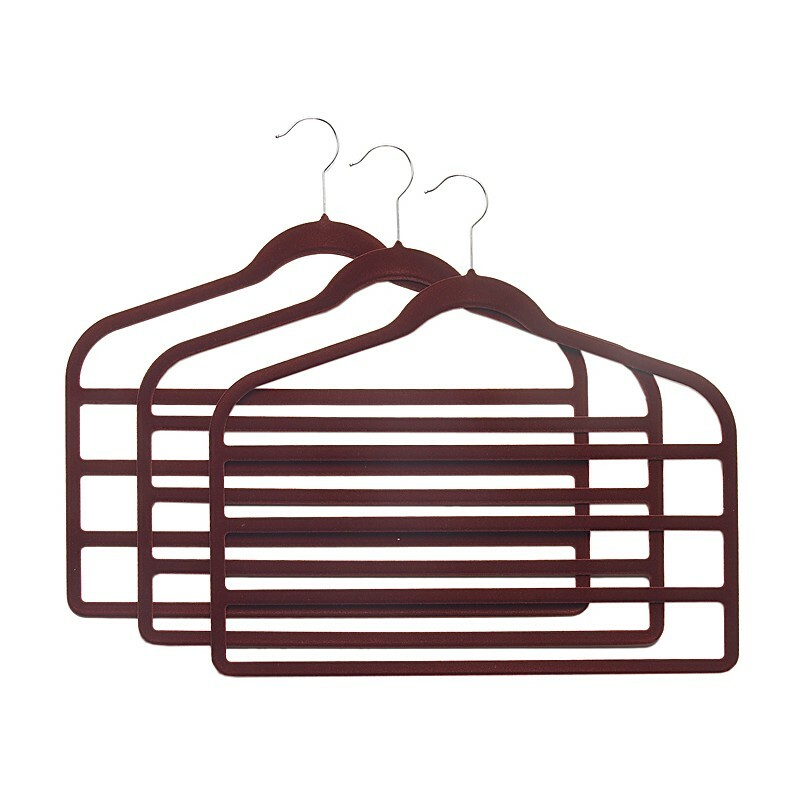 Prevent pants from slipping with the soft, velvety surface of these must-have closet hangers. 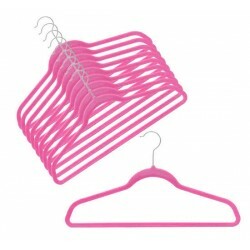 These lightweight yet strong hangers are also ultra-thin to save closet space but strong enough for your heaviest jeans. 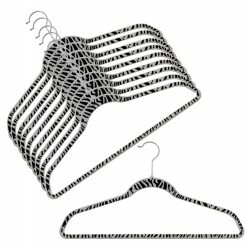 Chrome hooks complement their attractive design.